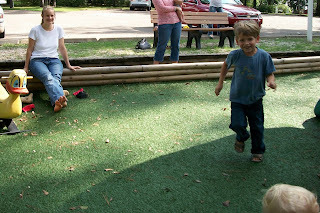 Dawson and Seth spinning around on the swings as Cy looks on. Dawson flying through the air. 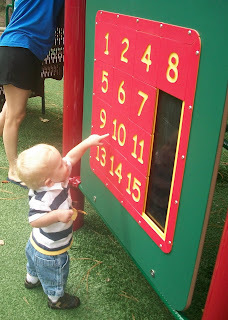 Pointing at the numbers at the playground. 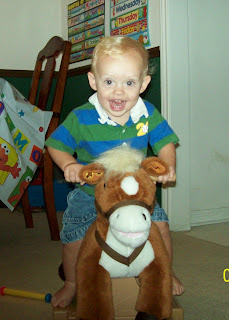 Okay, he's not pointing here - he's drumming on the seat - but he's so happy and cute. 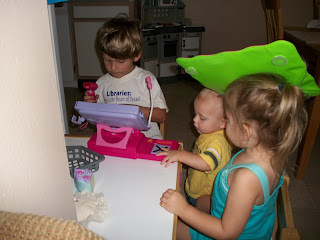 Dawson learned this cute little song from his K12 history curriculum. 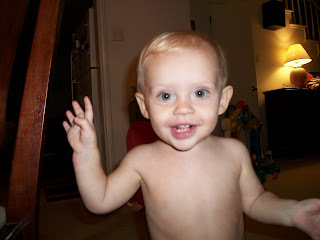 He has the cutest little singing voice. I love it! North America, a canyon grand. Antarctica, the snow is high. And Africa, the desert's dry. And Australia, best reef of all. 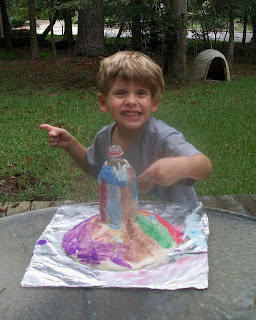 Dawson and I have made several kitchen volcanoes using baking soda and vinegar, but last week was the first time we attempted to make our own clay and mold a volcano. It turned out to be a pretty sad volcano, with the clay continually sagging down and refusing to stay in the proper position (I think we may have added too much water). 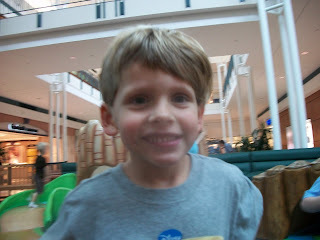 But Dawson still had fun making the clay, building a volcano, painting it, and of course creating an "eruption." A short video of one of our eruptions. 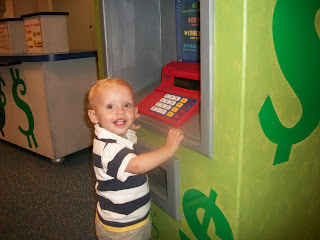 Pushing the buttons on the ATM at the museum. 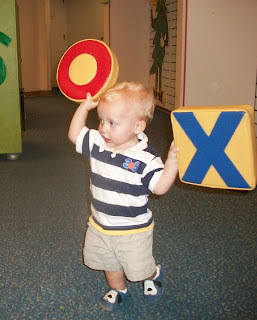 Brady loved taking the X's and O's off the wall. 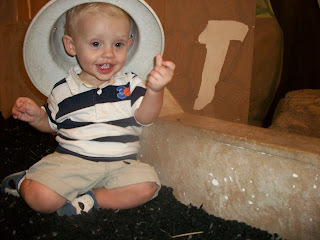 Looking cute in his hat while he plays in the dino pit. 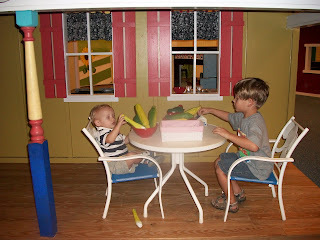 Brady and Dawson having a picnic on the porch of the little cottage at the children's museum. 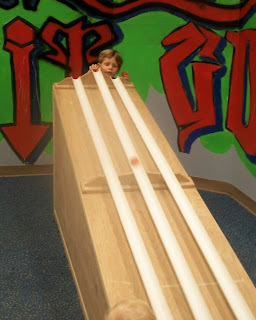 Dawson rolling balls down the ramp. 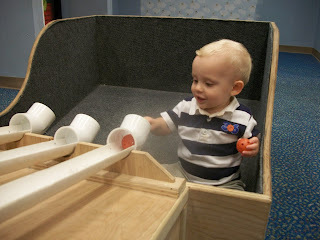 Brady happily pushing balls through the hole. Both boys waiting for me to roll balls down to them. 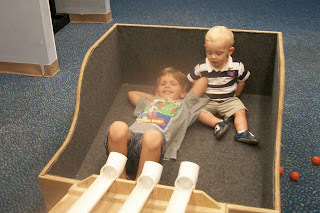 Dawson lying in the box after being pelted with balls. 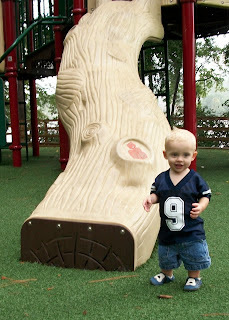 Climbing on the big tree. 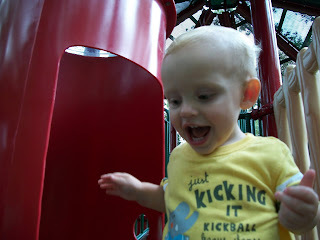 Happy to be climbing, jumping, and running around. 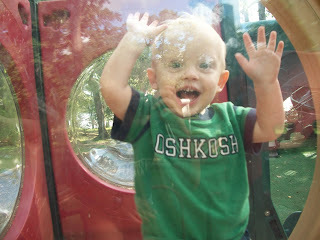 Brady looking through the window at the playground. 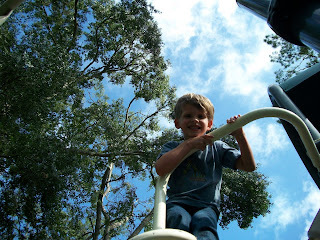 Dawson at the very top of one of the ladders at the park. 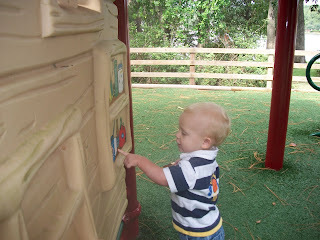 He's become very adventurous in his climbing and jumping lately, which makes me nervous but him very happy. 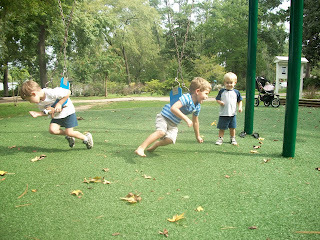 We experienced a beautiful fall-like day on Monday. 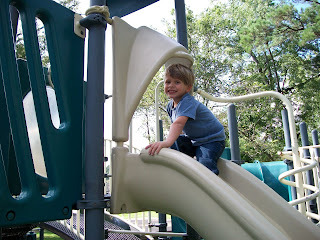 It was a perfect day to play at the park and we enjoyed the great weather and the company of good friends. 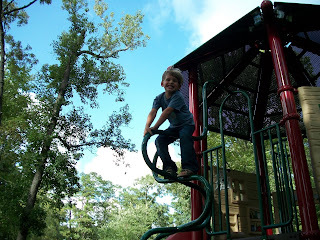 Dawson at the top of one of the ladders. 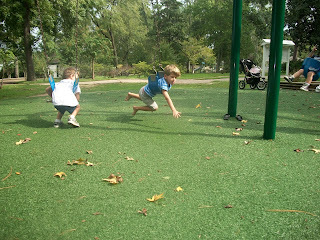 Dawson running around the park. 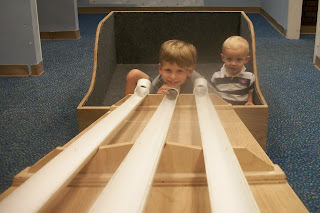 At the top of one of the slides. 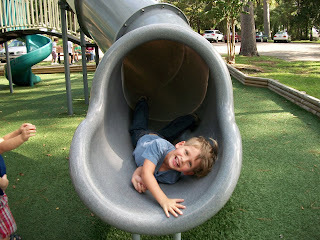 Coming down the tube slide head first. 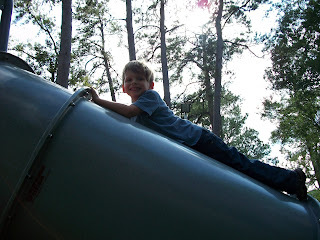 Climbing on the top of the tube slide. 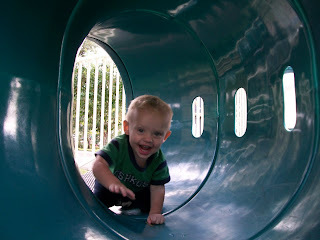 Cute Brady coming through a tunnel. 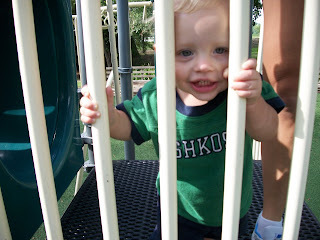 Holding onto the bars and bopping. Happy to have found a pine needle. 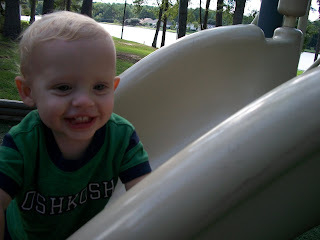 A great big smile as he sees Dawson run past. 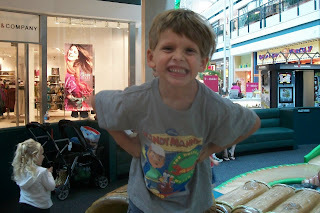 Brady smiling as the rain falls on him. 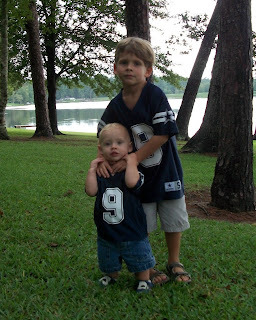 This was the best picture I was able to get of the boys together in their matching Dallas Cowboys jerseys. 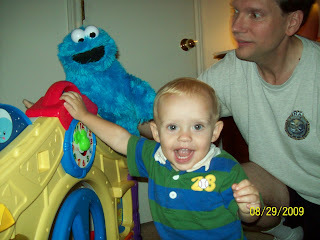 Brady coming over to say hi to Dawson, who took this adorable picture! 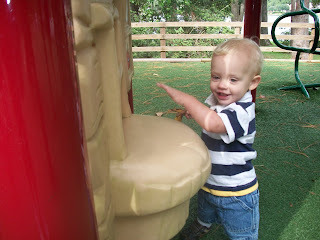 Brady loves the "big kid" playground at our neighborhood park. 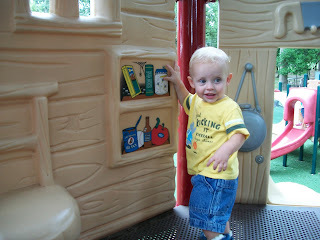 We have smaller toddler equipment but he tends to prefer the big playground. 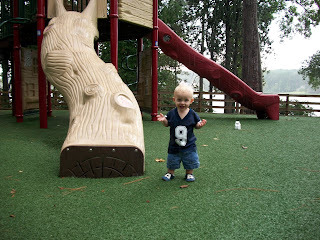 He looks so tiny up there - and so cute! 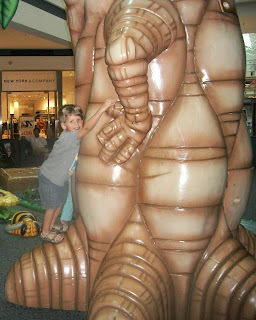 Pointing out the bugs in the jar. 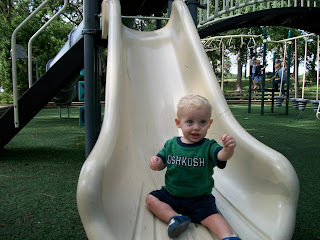 Smiling and squealing as he speedily walks around on the playground. 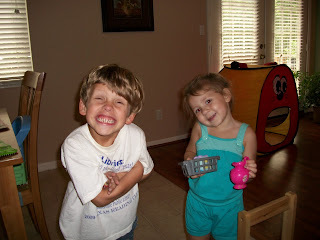 Dawson and Hannah smiling for the camera. 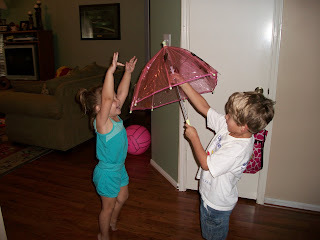 Hannah pretending to be a storm cloud and Dawson using the umbrella to stay dry. 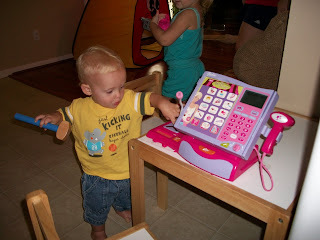 Playing with the cash register. 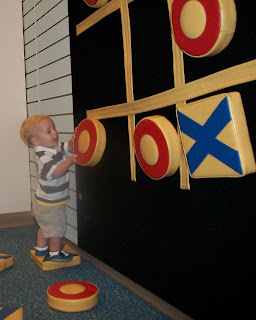 Brady fascinated with the beeping buttons. 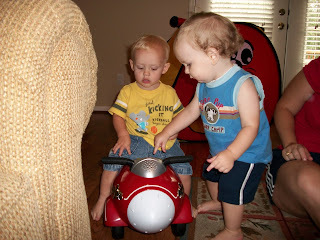 Wesley showing Brady how his cool new toy works. 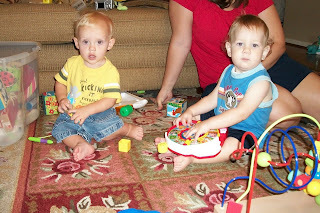 Two cute boys playing together on the floor. 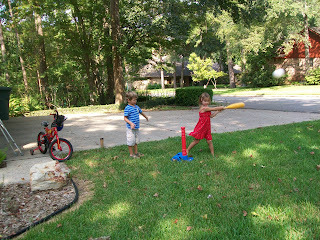 Dawson and Kaelin taking turns at bat. 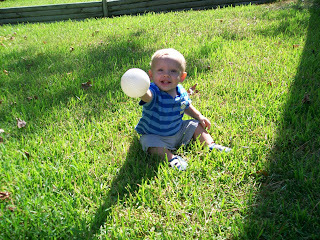 Brady so proud to have a ball for himself. 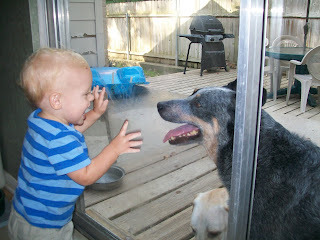 Brady fascinated with the dogs on the other side of the door. 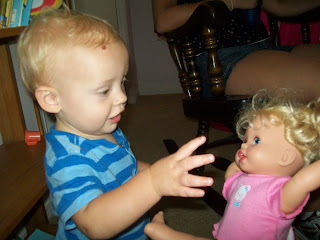 Also fascinated with Kaelin's moving and talking doll. 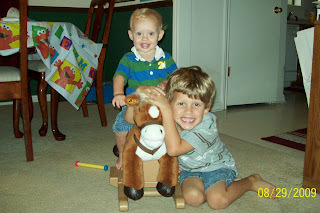 All of these pictures are in the slideshow of Brady's birthday, but they are our favorites so we wanted to display them prominently on the blog. 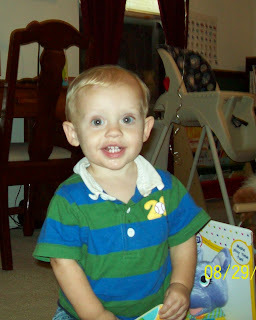 Brady is such a cutie with that big smile!! 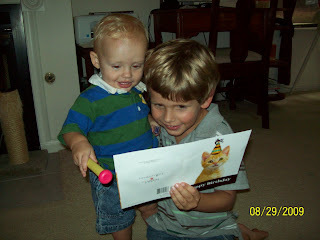 And we also really love the sweet pictures of he and Dawson together.